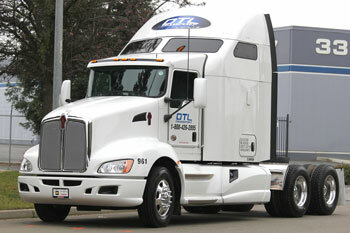 DTL Transport has a fleet of single drivers for your flexible or firm delivery appointments. With this in mind, our drivers understand how important it is to deliver on time, every time. Please keep in mind whether your needs are from the west coast or the east coast, DTL Transport is there for you. Do not hesitate to contact one of our professional dispatchers to assist you with a competitive quote. DTL Transport knows realizes the importance of your cargo and understands how essential it is to deliver on time. We have skilled team drivers to make sure that your cargo is delivered on time in a fast and secure manner. When getting a quote, please mention that you require our professional team drivers for your perishable cargo needs.